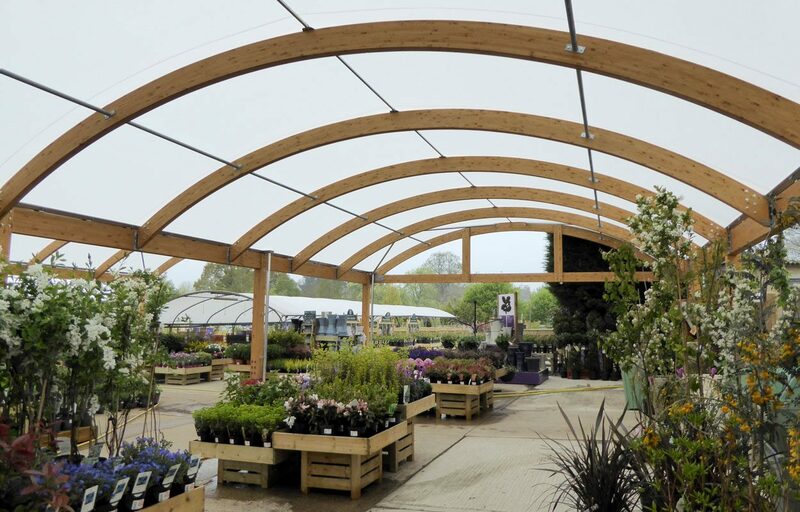 Double span timber canopy extends beautiful plant life area. 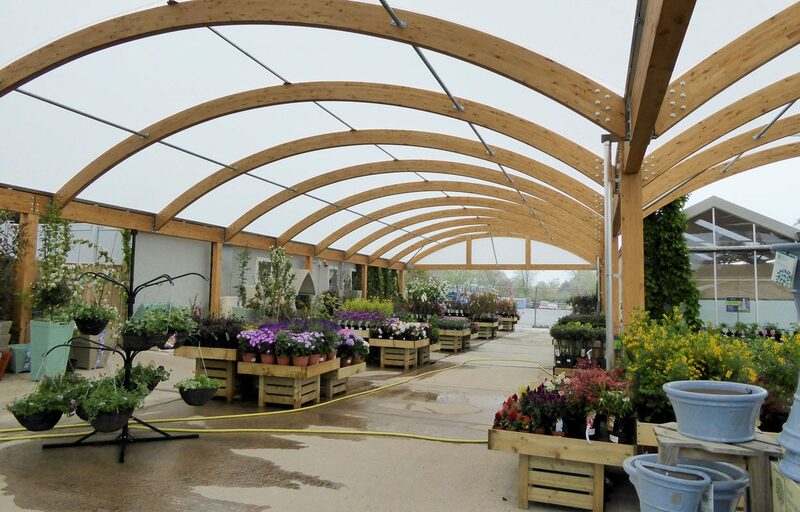 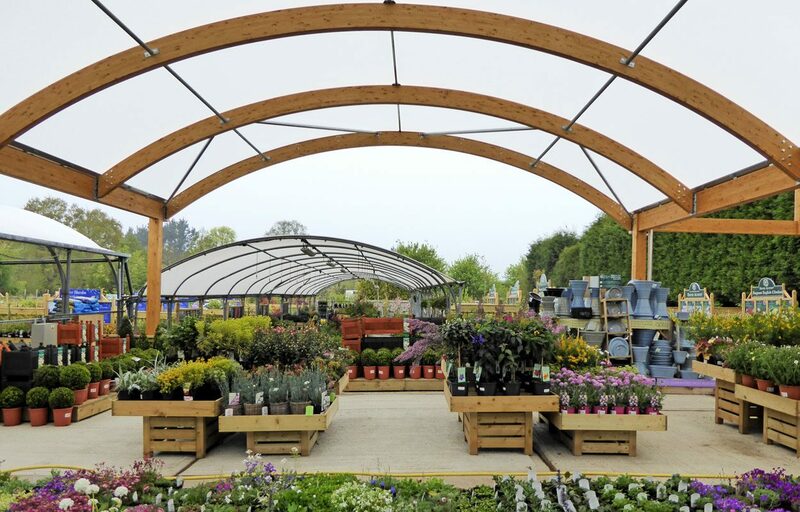 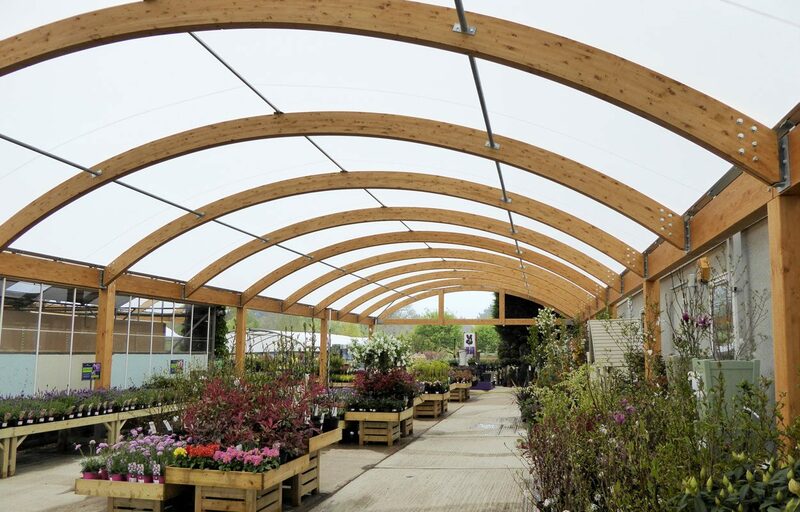 Situated adjacent to the beautiful Sir Harold Hillier Gardens, Hillier’s site at Braishfield has a reputable plant area that is now accompanied by a large double span timber canopy, designed and built by Fordingbridge. 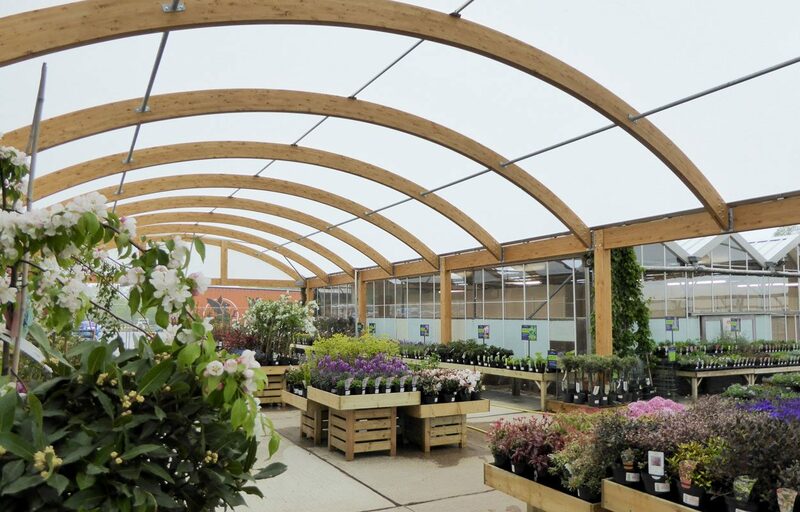 The glulaminated timber structure is finished in a fabric membrane roofing solution that has been developed exclusively for Fordingbridge. 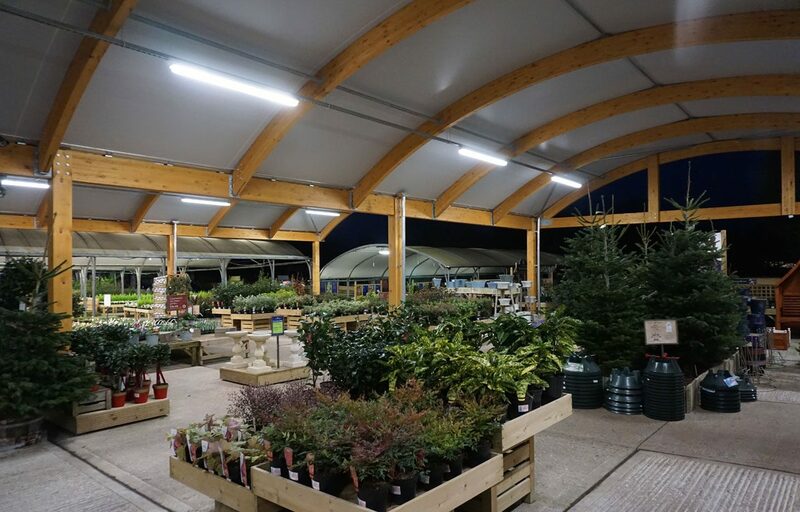 This technology is perfect for garden centre applications due to its light transmission properties, creating the perfect environment for plant life underneath. 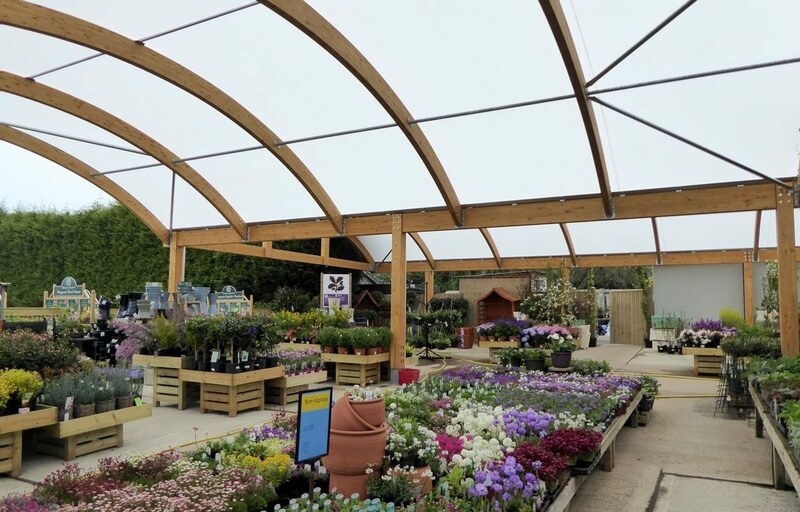 The fabric is also 100% waterproof, ensuring visitors to Braishfield are comfortable all year round.